Pastor Hosley is a dedicated man to God. God first! The question I pose to all is, have you ever been checked and had to ask yourself did he just check me. Well our pastor is a man that has a way of putting you in your place without offending you (tact). His whole objective is to meet you in heaven. He has great love for God's people. Also, he delivers God's Word clear and understandable. I have never known him to take away or add to God's Word. Pastor Hosley has taken his congregation to other places and if a word was given that was not correct he brought us home and corrected it. I cannot just speak on him without speaking on his beautiful wife. She is both beautiful on the inside and outside. She has the nickname by me as "Bible Reader". God placed those two together and showed us a great match. They support each other as they support us. We are a growing congregation only because healing and deliverance takes place there. If you are ever in Portland, Oregon please stop in and receive your blessing. We are HeavenBound Deliverance Center Church 5131 NE 23rd Ave. Portland, Oregon. We have the spirit of our leader and that is "Showing love and keeping it real." It doesn't take many words to describe my earthly spiritual leader- Pastor L.L.Hosley, I just have to say he's an authentic man of God. He's about our Heavenly Father's business. 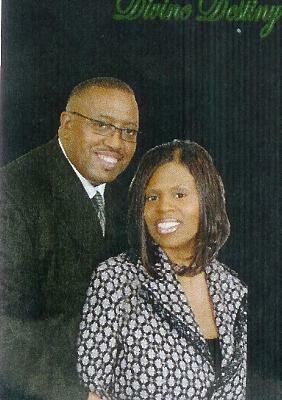 First Lady Hosley is one of the best examples of a true woman of God.